Modern Thiruchirappalli district consists of eight taluks. Five of them provide rich epigraphical sources to reconstruct the history of this district from the early days. In that process information was collected on the administrative bodies of the early medieval period that were managing the villages of this district. Mulaparudaiyar appear to be one of them managing four villages, three on the northern bank of the river Kaveri and the remaining one on its southern bank. Mulaparudai also known as mulaparishad is collectively mentioned in the records as ‘mulaparudaiyom’. As per the available evidences it is understood that certain brahmadeyas were under the administration of this corporate body in the early days. In the study area Tudaiyur, Mahendramangalam, Thiruvellarai and Isanamangalam were administered by this assembly. It may be considered as an equivalent of sabha as suggested by an inscription of Rajendra I copied from Vishamangalesvarar temple at Tudaiyur, where in the two names Mulaparudai and sabha overlap. The administrative body of Tudaiyur mentioned as ‘perunkuri sabhaiyom’ in the beginning of the record, identifies itself as ‘Tudaiyur mulaparudaiyom’ at the concluding part, there by suggesting both perunkuri sabhai and mulaparudai are one and the same with variant names. 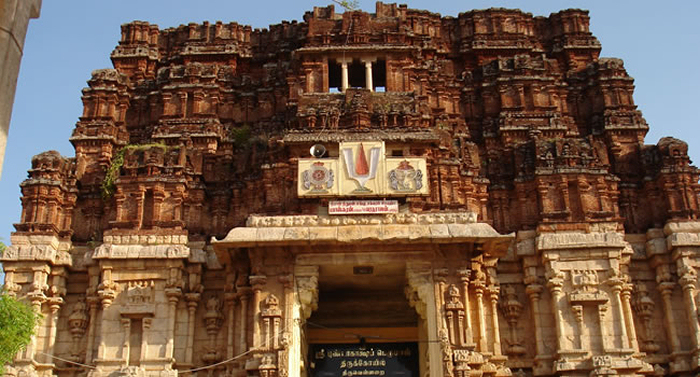 Similar suggestions are met with in the inscriptions of Thiruchchendurai, where nearly 17 records throw light on the various activities of mulaparudaiyar. Interestingly two records of this place when mention the administrative body indicate them by number, the exact phrases being, ‘nanurruvar Isanamangalattu mulaparudaiyar’ and ‘ivvur parudaiyana nanurroruvarom’. Mulaparudai identifies itself as a collective body and no individual names are mentioned in any of the records unlike alumganattar and sabha, the other two brahminical administrative bodies, in that it differentiates itself from sabha and identifies with the ur assembly. It had common land of its own mentioned in the records as parudai nilam. It is interesting to note that mulaparudai of Thiruvellarai received land from the Chola king Rajadhiraja I as abhisheka Dakshinai from which a portion was sold by them on an occasion. A similar gift by the Chola king Aditya Karikalan is noted in an inscription engraved at Nagesvarasami temple at Kumbakonam. It is equally interesting to note that the meeting place of this corporate body is rarely mentioned in the inscriptions, (in our corpus only two records have a reference of this meeting place as kollattilankonar mandapam at the Srikoyil and maniyambalam both at Thiruvellarai) unlike the sabha which had its gatherings in several places of the village and at times even in some distant places. Mulaparudai attended to the village and temple affairs by forming various committees mentioned in the inscriptions as variyam or varikam. It was also involved in sale of land, remission of taxes after accepting a lump sum amount towards payment of taxes and agreed to carry out stipulated services at temples on endowments entrusted with them. As per necessity demanded it was assigned with some rare type of responsibilities by the government such as collecting and verifying details pertaining to endowments of a particular temple in its area and to engrave the same in the temple premises as records. Instances are also noted wherein mulaparudai received royal letters with specific instructions that were duly obliged. A good number of records throw light on the variyams that were functioning under mulaparudai. An inscription probably of Rajaraja I from Kuranganatha temple at Srinivasanallur provides a list of several tax free temple lands with their incomes specifically allocated for various requirements of the temple at the instance of Araiyar Acharakanta Brahmadiraja, a government officer to the mulaparudai of Mahendra mangalam, who had this re-engraved on stone after collecting the necessary information by appointing a committee (varikam) for that purpose. The members of the committee and the accountant of the mulaparudai jointly verified the details before ascertaining the allotment of lands for the specific endowments. Another inscription from Thiruvellarai throws light on Thiruvanaikkal variyam, which probably was attending on the temple on behalf of the parishad. A record of Rajaraja III from the same place registers the receipt of reminder from the king to the members of mulaparudai of Thiruvellarai stating that the existing adaippu which had been responsible in each village for payment of government tax should be discarded and instead committees should be formed for that purpose. The administrative body removed the four members of the adaippu of their village and formed a committee of eight persons and arranged to pay the tax kadamai and kudimai on the entire village put together as one unit. The body also decided to change the members of the committee every year with the condition that a person who served for one year can not serve for the next four years. The committee members were allowed to enjoy some tax concession and the document was prepared by the madhyasta of the village. Several inscriptions from the parudai oriented brahmadeyas attest to the sale of portions of land owned by them. In some inscriptions it is made clear that the piece of land that was sold belonged to them as their common land. In a few records the ownership of the sold land though not mentioned with clarity, it may be understood that it was only from the common land owned by the administrative body the sale was effected. In some records the sale price and the amount accepted for remission of taxes are mentioned separately whereas in a few such clarity is missing. An inscription of Parakesarivarman from Thiruchchendurai attests to a sale of land as tax free by parudai after accepting a total sum of 28½ kalanju of gold from the purchaser. Here the sale price and the amount accepted for remission are not mentioned individually whereas the taxes remitted are mentioned as irai, echchoru and vetti. Another inscription of the same place reveals the sale of their land to Pudi Aditya Pidari for 7½ kalanju of gold. In this case it was only the sale price since it was not made tax-free. The sale deed was written under the orders of parudai by Anikalan Kaliadakki on behalf of Desavalluvan, the tinai officer. The phrase ‘parudai panikka elutinen’ of this record reflects the same pattern followed in the documents made by the sabha and differs from the pattern followed in the records of urar wherein the phrase goes as ‘ur eva elutinen’. Similar such sale records are available at Tudaiyur, Srinivasanallur, Thiruvellarai and Pannili. An inscription of a certain Rajakesari from Srinivasanallur registers a sale of land as tax-free devadana to the temple of Kurakkutturai Perumanadigal by the members of the mulaparishad of Mahendramangalam. This land is mentioned in the inscription as the common property of the parishad. Sale of land also occurred when the administrative bodies were not able to pay back the loans received from the temples on critical occasions. An inscription from the same place records a sale of land made free of taxes such as irai, echchoru, vetti and vetinai to Kurakkutturai Perumanadigal by the mulaparudai of Mahendramangalam for the outstanding debt due from them to the temple. Such incidences are found reported in case of the other administrative bodies such as sabha also. The exclusive act of remission of taxes by the parudai is well brought out in an inscription of Rajakesarivarman from Thiruchchendurai. Virachola Ilangovel alias Orri Madurantakan, a feudatory of Irukkuvel clan, paid 100 kalanjus of gold towards remission of taxes on 1½ veli of land belonged to the temple. Parudai accepted the amount and remitted taxes such as echchoru, vetti, kulai and kudi. The agreement was signed by Nagan Udaya Martandan, the brahma perun tinai, a revenue officer of the village. Another record from the same place attests to the remission of taxes by mulaparudai on certain portions of land purchased and gifted to the temple by Pudi Adityapidari after accepting 37½ kalanju of gold from her. A piece of land was purchased from mulaparudai for 40 kalanju of gold and gifted to the deity of the Vishnu temple at Thiruchchendurai by Pulalaiyan, the builder of the temple. The land was made tax-free after a payment of 70 kalanju of gold by the purchaser which was nearly twice as that of the sale price. The amount accepted for remission of taxes on lands was not uniform. In some cases the sale price and the amount paid for remission were the same. some records reveal a small amount as sale price and quote a higher amount as the whole sum money paid for remission. Such discrepancies noted through out the study period are not explainable due to want of more details. Mulaparudai as an administrative body accepted endowments entrusted with them agreeing to carry out the stipulated services. A record from Thiruvellarai registers an endowment left in charge of the mulaparishad of Thiruvellarai by an individual. Another record from the same place registers an endowment of 70 kalanju of gold left in charge of mulaparishad of Thiruvellarai by Damodiran, a resident of the village to feed a brahmana versed in the Vedas every noon after the midday offering was made at the temple of Thiruvanaikkal perumanadigal. An early record of Parakesarivarman at Thiruchchendurai registers an endowment of 20 kalanju of gold left in charge of mulaparishad of Thiruchchendurai by Nakkan Vikramakesari, queen of Thennavan Ilangovel alias Aditampudi for lighting a perpetual lamp in the temple of Thiruchchendurai Perumanadigal. An interesting record of Parantaka I throws light on a royal letter sent by Madurantaka Irukkuvel alias Aditampudi to the administrative body of Isanamangalam instructing them to declare a certain land as tax free devadana of the temple.27 The order was obliged and made in to a permanent record at the temple. An inscription of Rajendra I from Pannili while recording an endowment entrusted with a certain group of people, asserts the responsibility of supervising it with the mulaparishad. 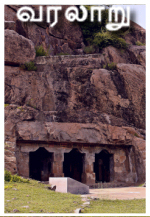 Such inscriptions are also found at Thiruchchendurai where it is requested that the endowment may be protected by the mulaparudai. It may be apt to conclude from the available information that mulaparudai was either an early form of or a variant of sabha functioned as an administrative body in a few brahmadeya villages in the early medieval period of Tamilnadu. It may not be an exaggerated statement, to say that the inscriptions provide ample information to reconstruct the history of the past. When a small corpus collected from the study area could provide so much detail on a corporate body, the enormous wealth of records left unexplored, if worked upon may yield unimaginable quantum of information to draw a complete picture of the administrative history of Tamilnadu. 2. SII 8: 607, 609. 3. SII 8: 600, 633. 4. SII 8: 629, 630. 7. SII 4: 537, 539. 12. Y. Subbarayalu, South India under the Cholas, Oxford University Press, New Delhi, 2012, p.141. 16. ARE 1937-38: 156; SII 13: 3, 26, 27; 4: 538. 29. SII 8: 607, 609.